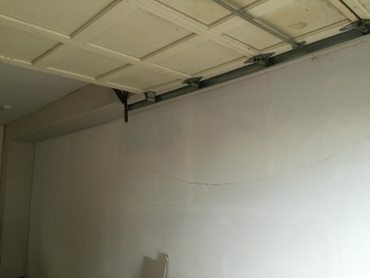 After suffering from water damage, our team at Monk’s was called in to install new sheetrock in this home’s garage. The damaged sheetrock was completely removed. New sheetrock was carefully installed. Once the sheetrock was in place the area was carefully taped and spackled. In only three days the water damaged sheetrock was removed and new sheetrock was expertly installed. To see other interior carpentry projects by our team take a look at our trim and wainscoting portfolio. If you would like to see more projects by us, check out this wainscoting project or this picture frame molding installation by Monk’s. If you are considering an interior carpentry project for your home we would like the opportunity to tell you why we think we are the best interior carpentry contractor in Madison, NJ 07940.